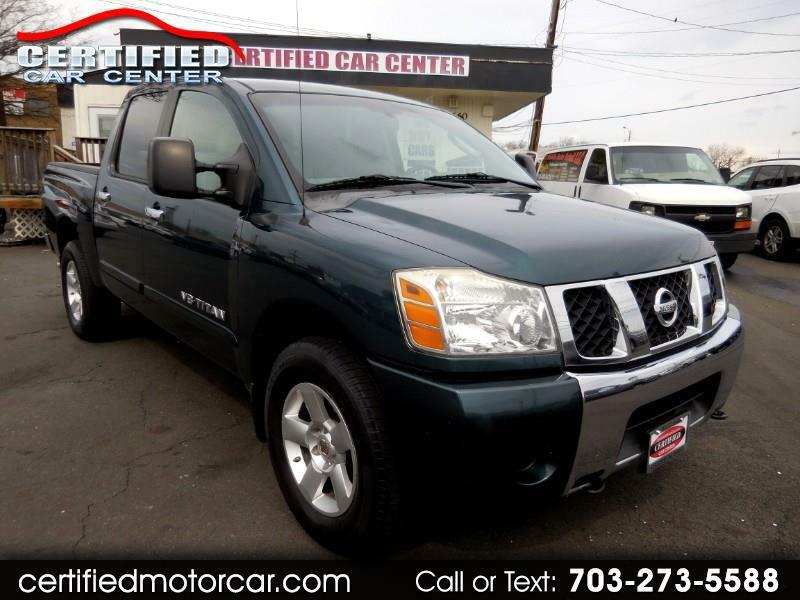 HERE IS THAT PERFECT 2007 NISSAN TITAN 4WD CREW CAB SE FULL 4 DOORS WITH LOW MILES IN GREAT SHAPE AND **ALLOY WHEELS, **AUX JACK**, **LOW MILES**, **FULL 4 DOORS**, **VA INSPECTED**, **CARFAX CERTIFIED**, **SERVICED**, **TWO PACKAGE**, VA INSPECTED, CARFAX CERTIFIED, AND BACKED BY WARRANTY AT OUR FIRM ASKING PRICE PLUS $395 PROCESSING FEE. Internet Prices are based on cash or cashier's check. Our Internet price does not include a $395 Processing fee, Tags, title and FINANCE FEES! Message: Thought you might be interested in this 2007 Nissan Titan.